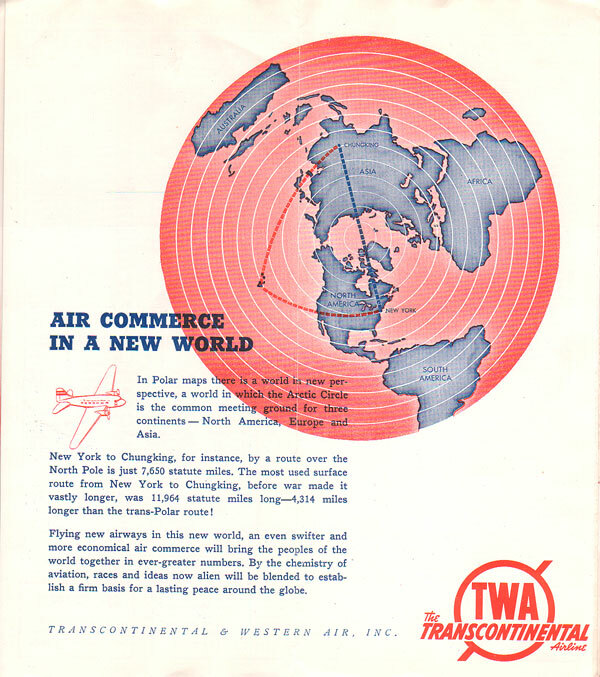 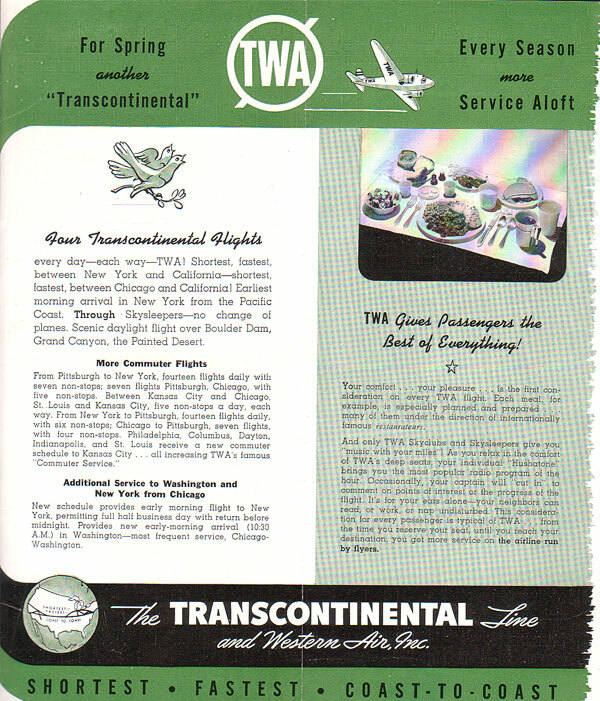 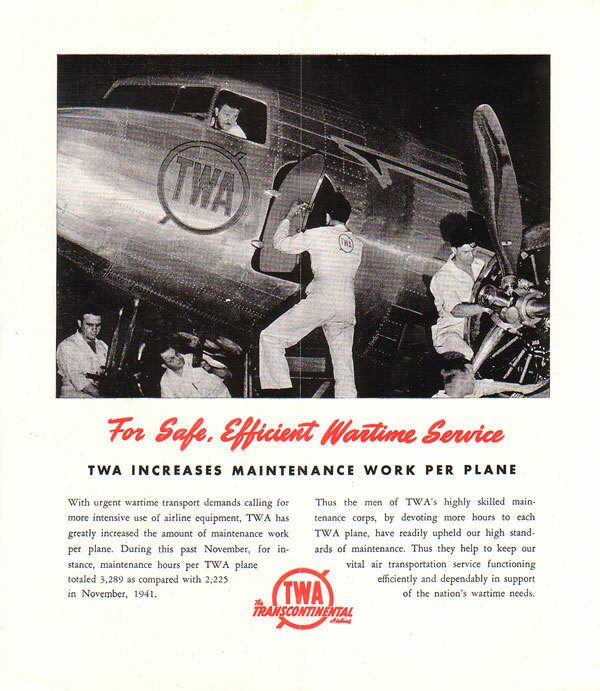 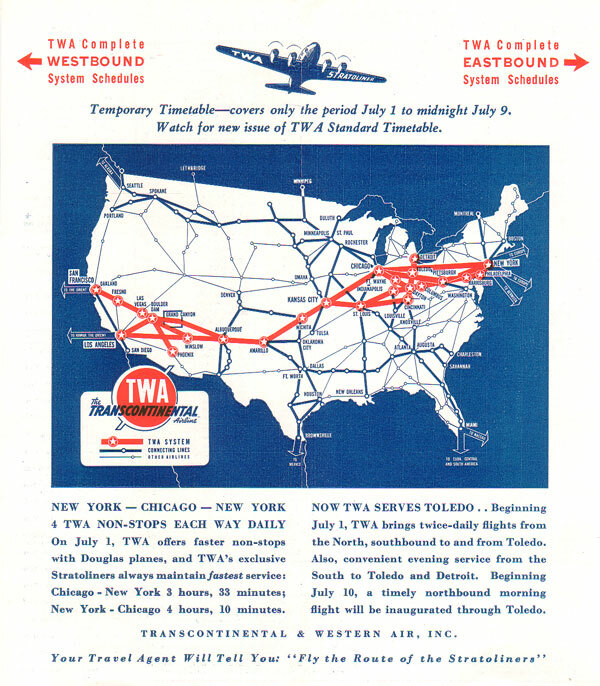 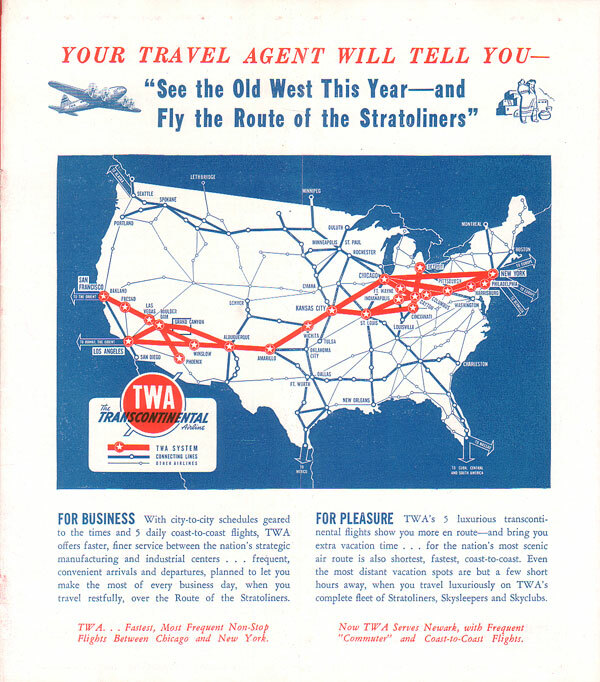 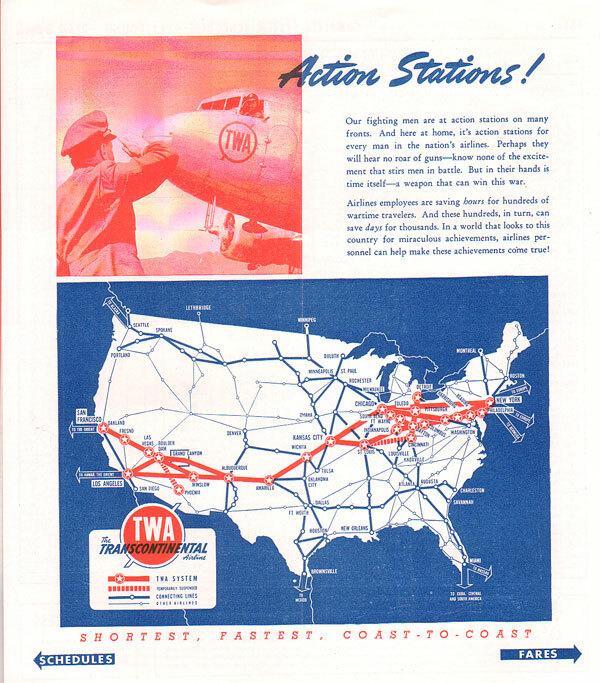 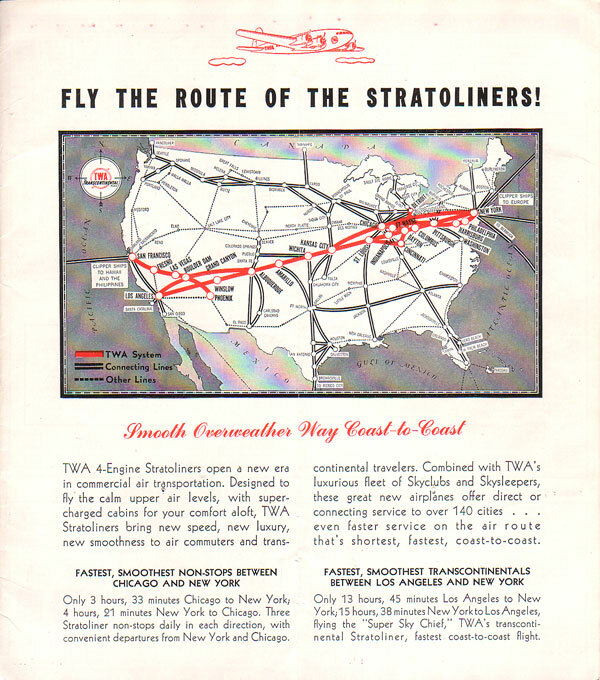 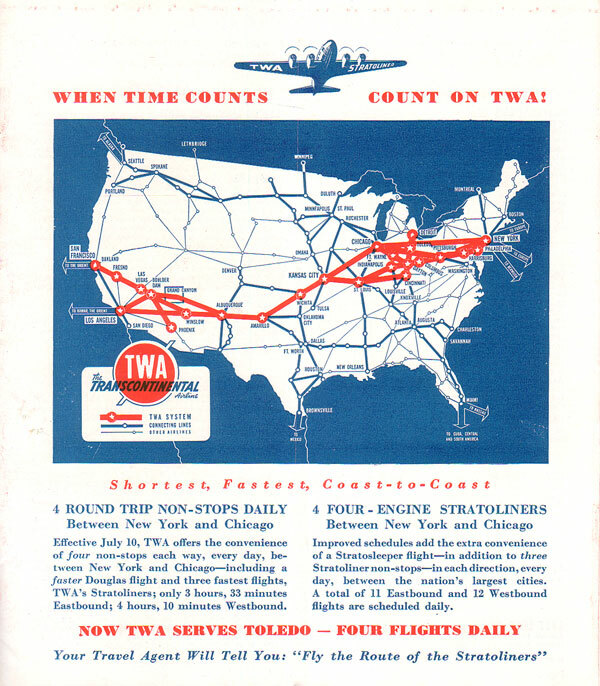 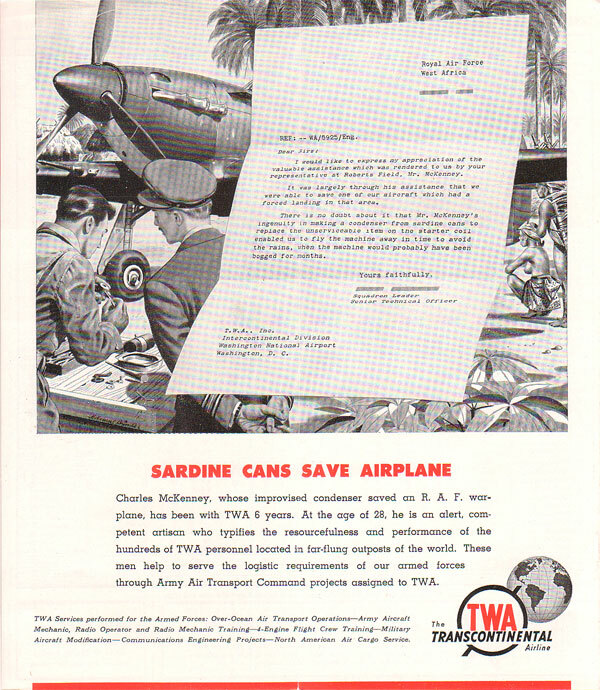 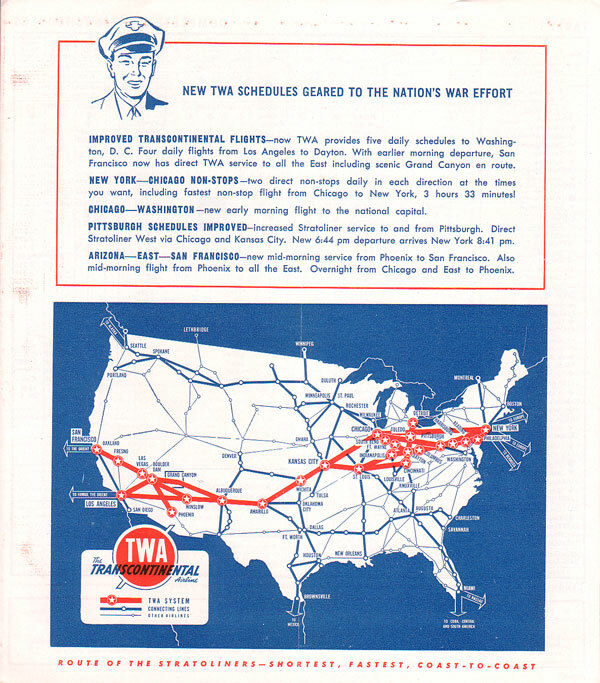 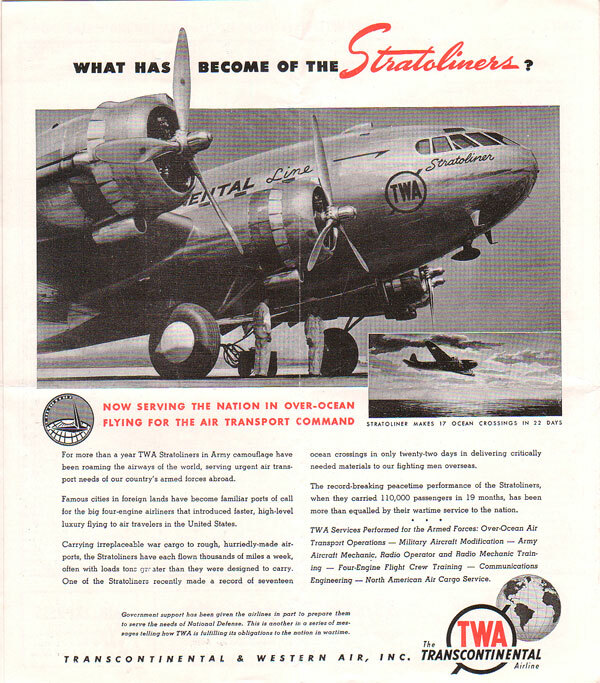 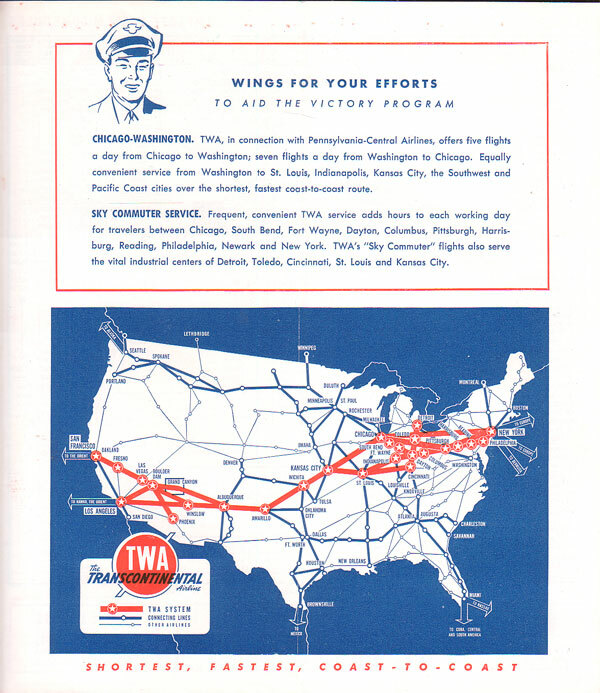 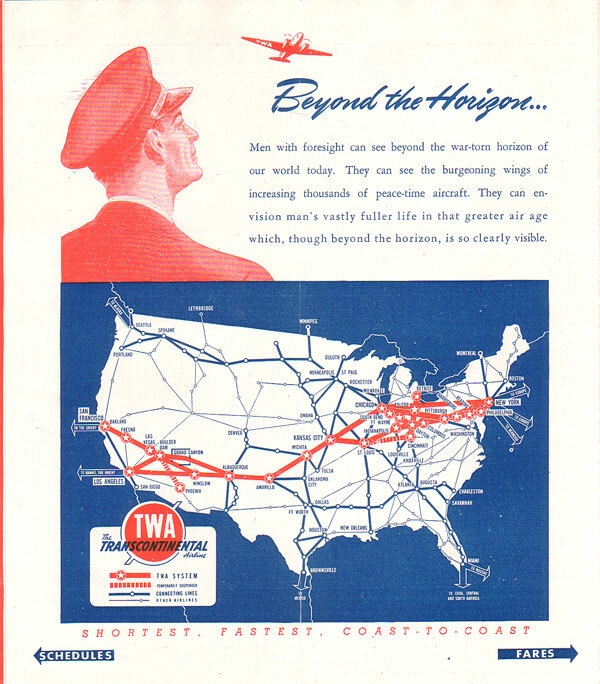 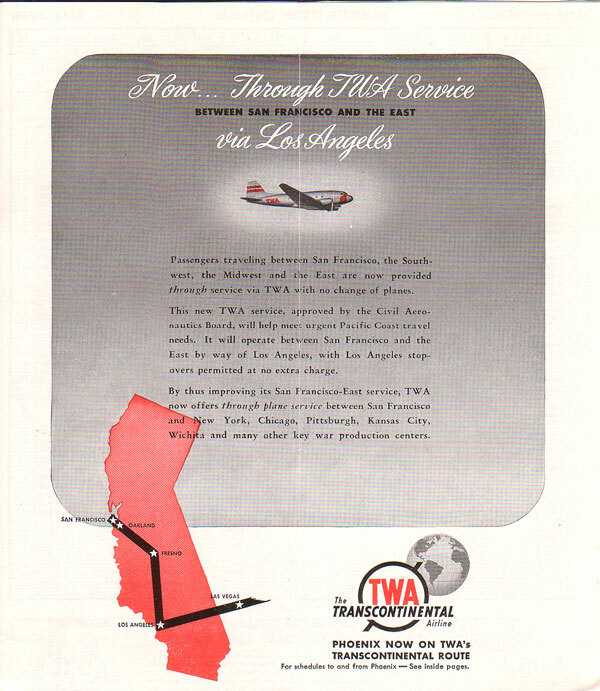 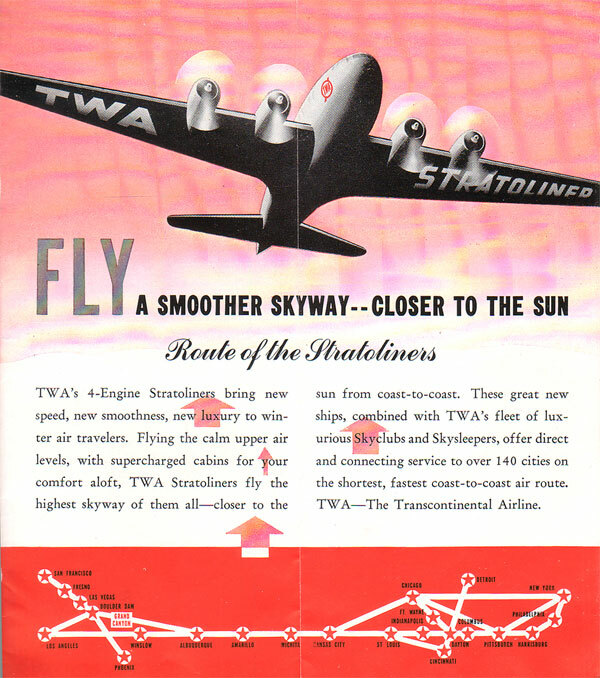 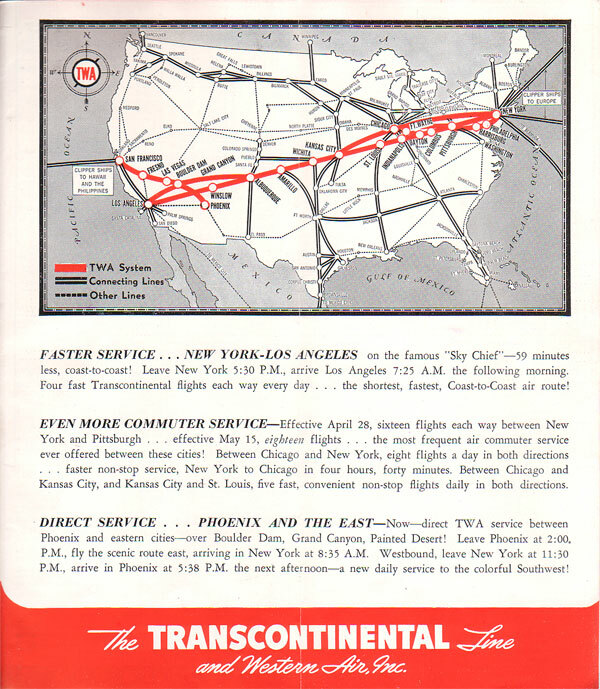 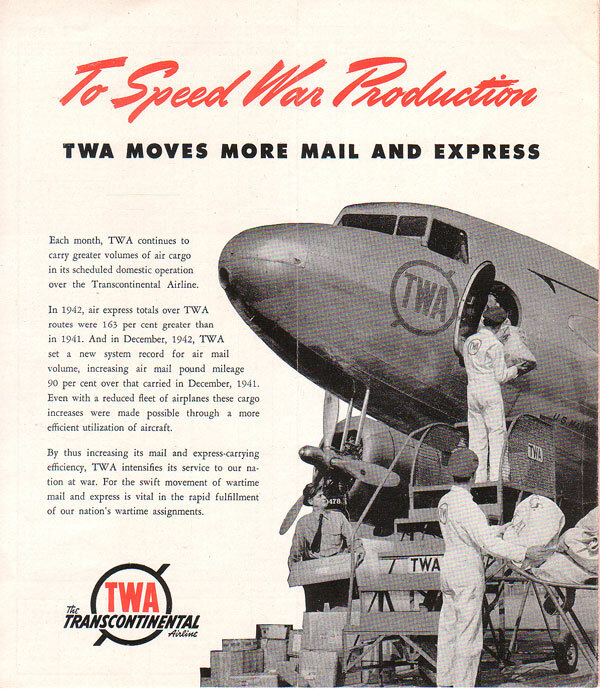 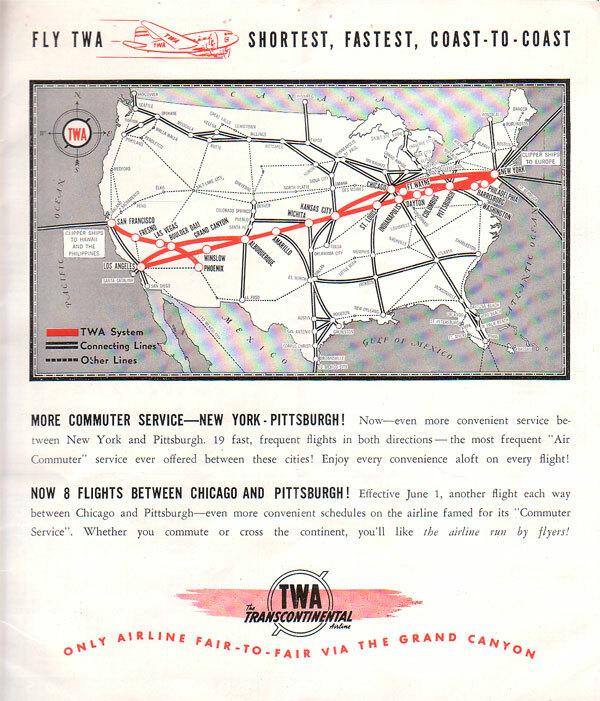 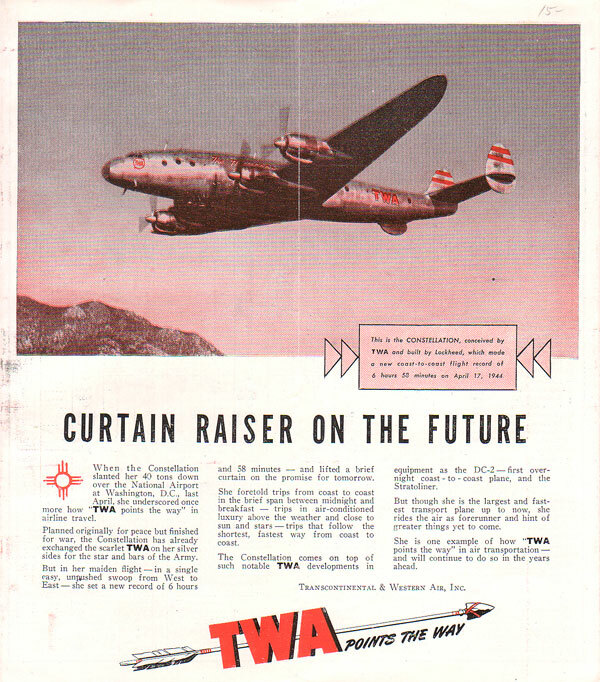 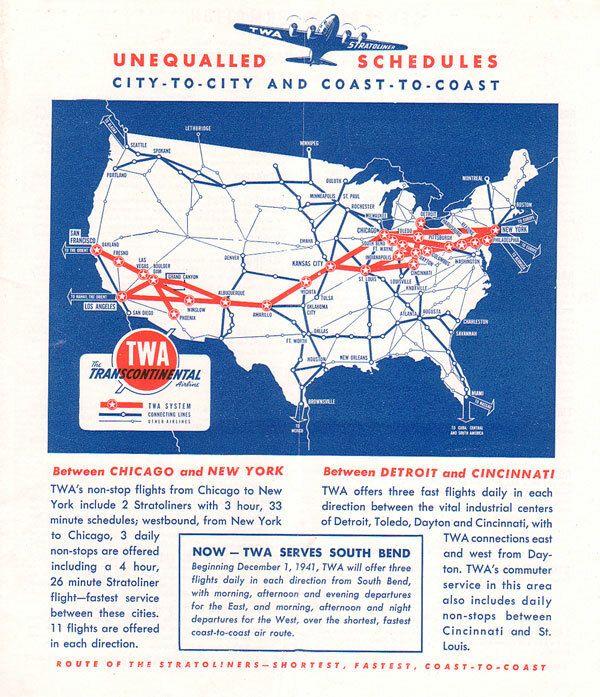 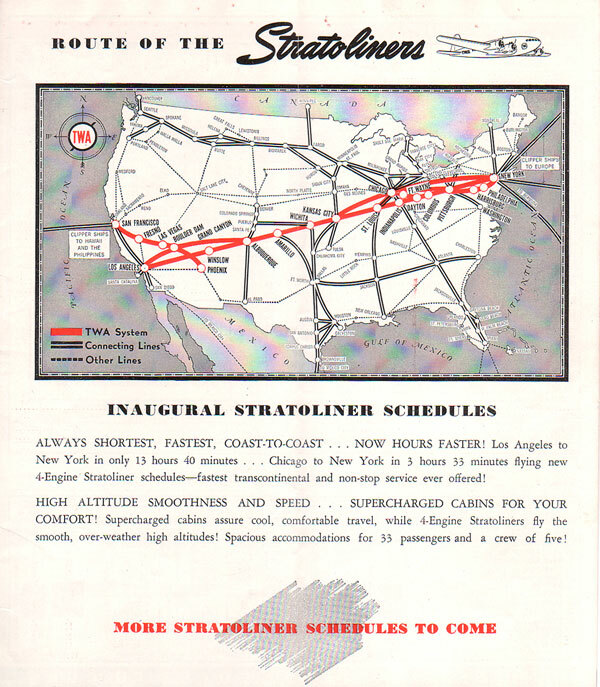 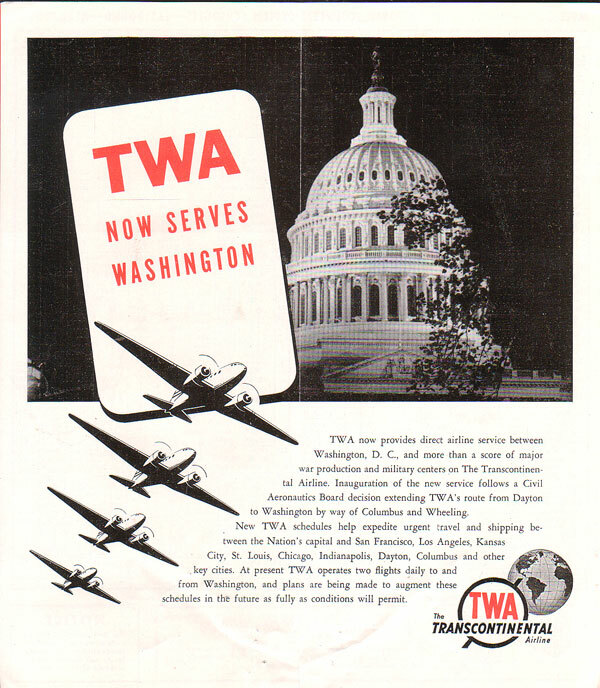 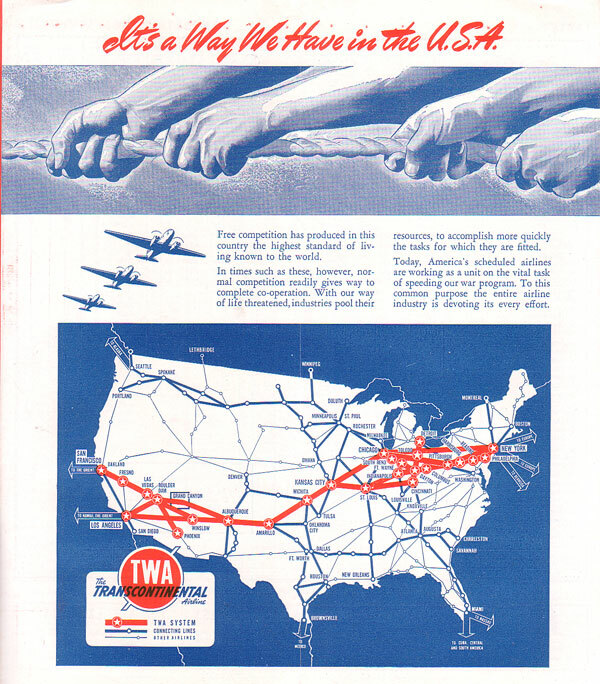 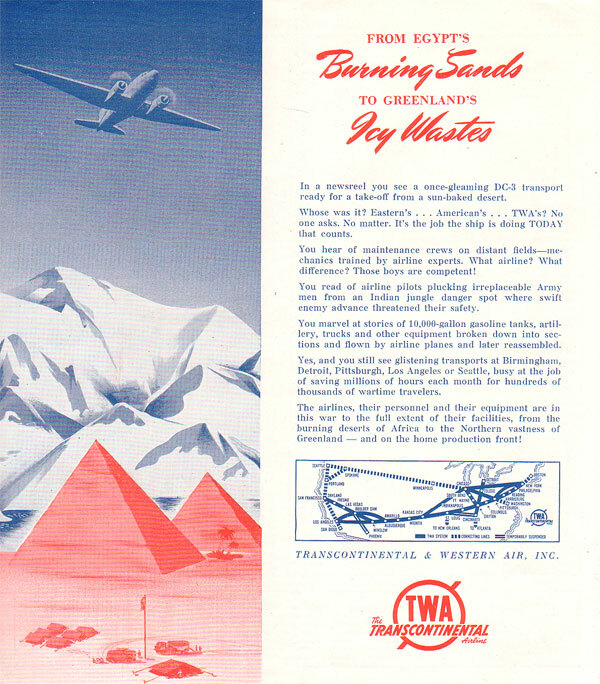 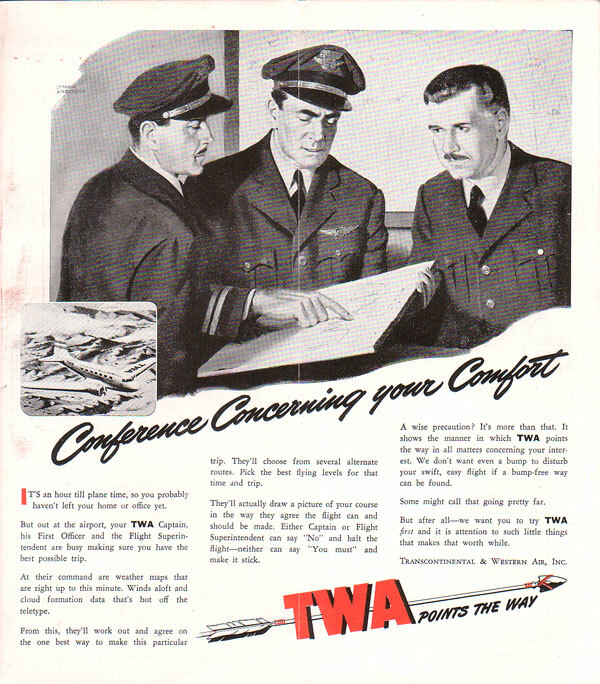 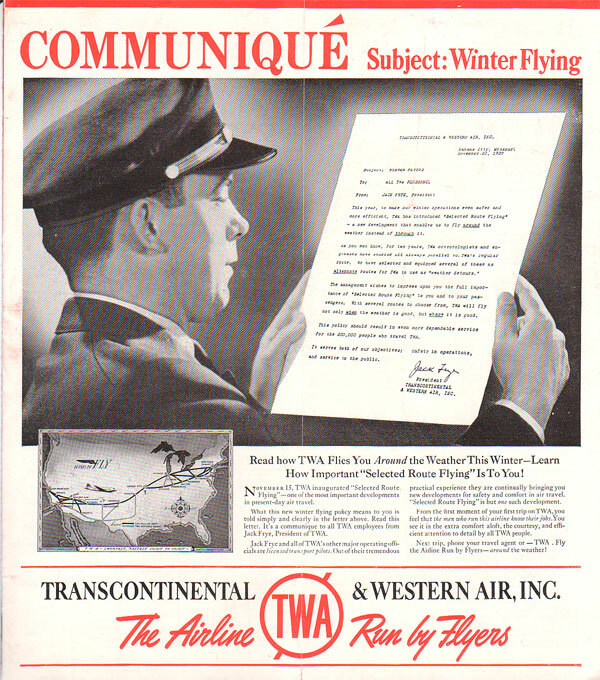 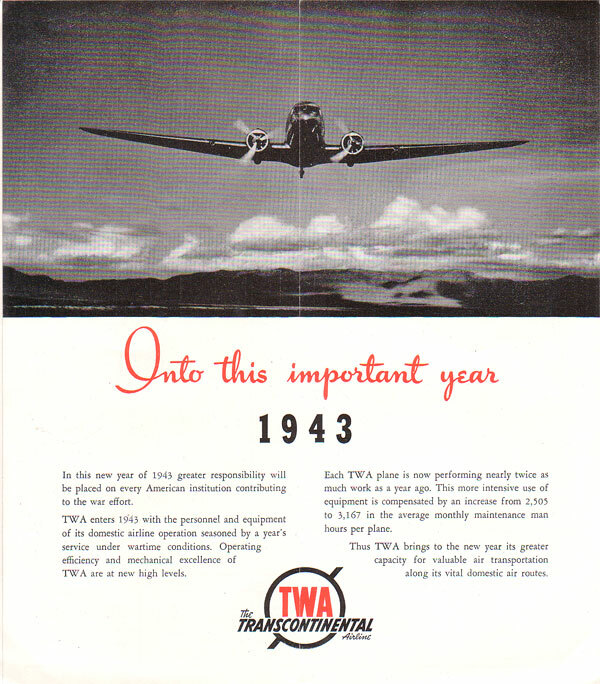 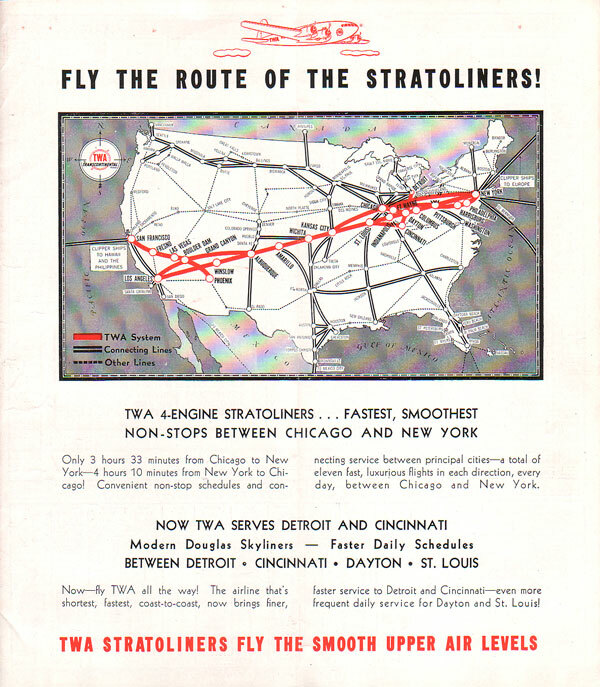 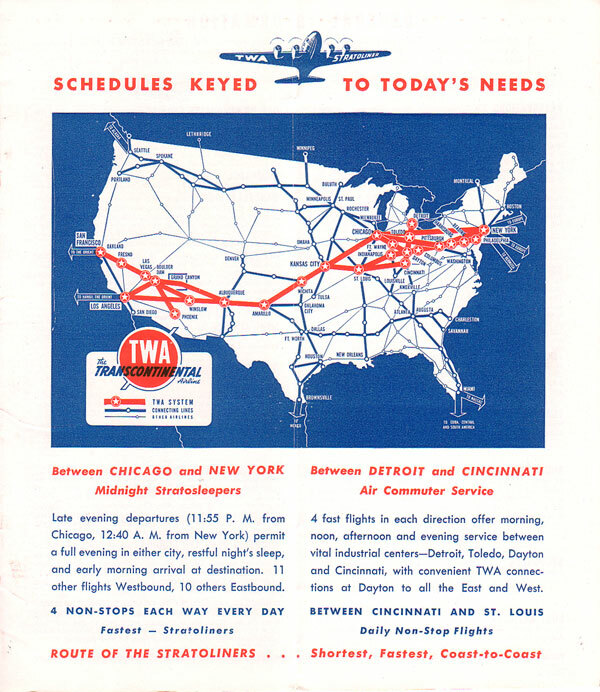 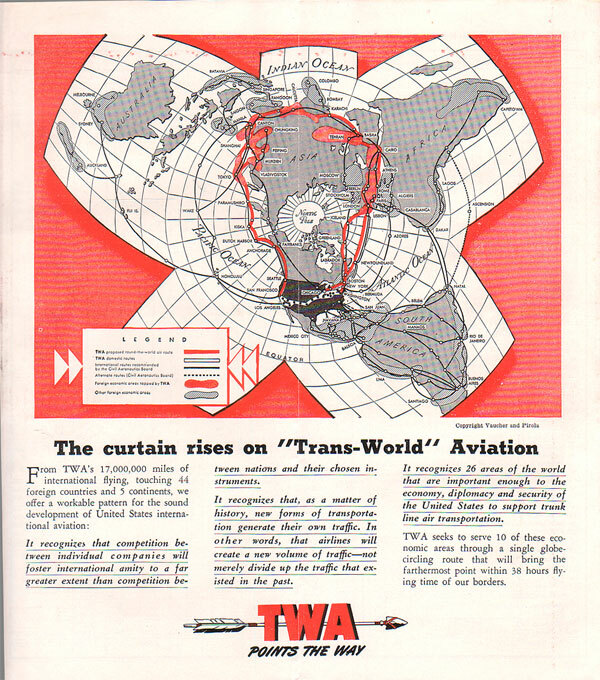 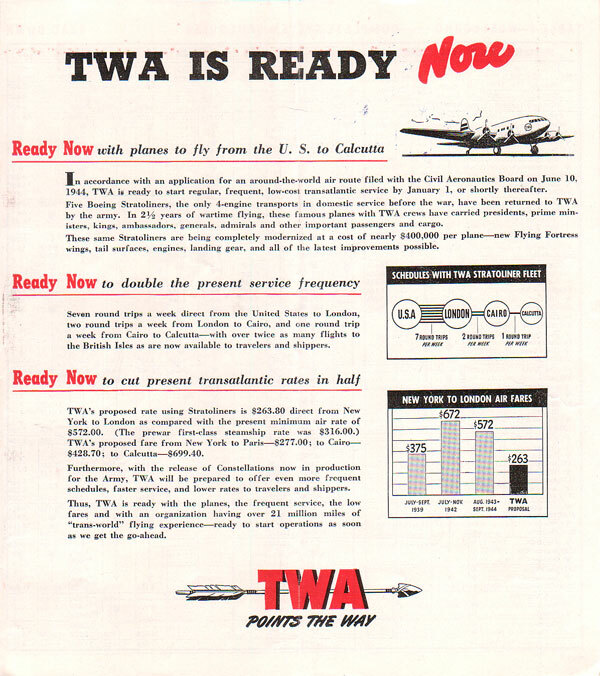 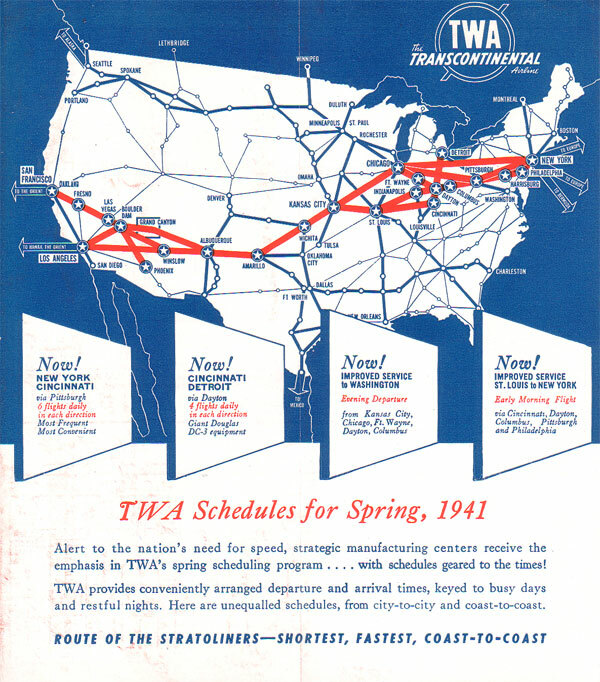 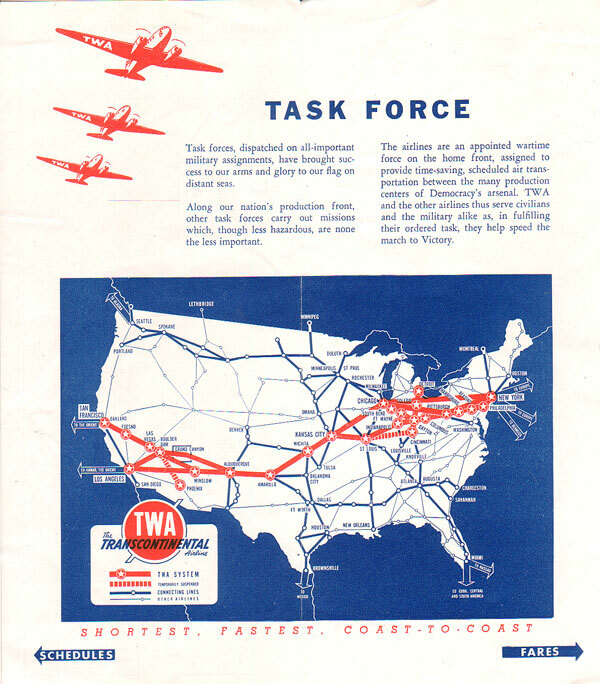 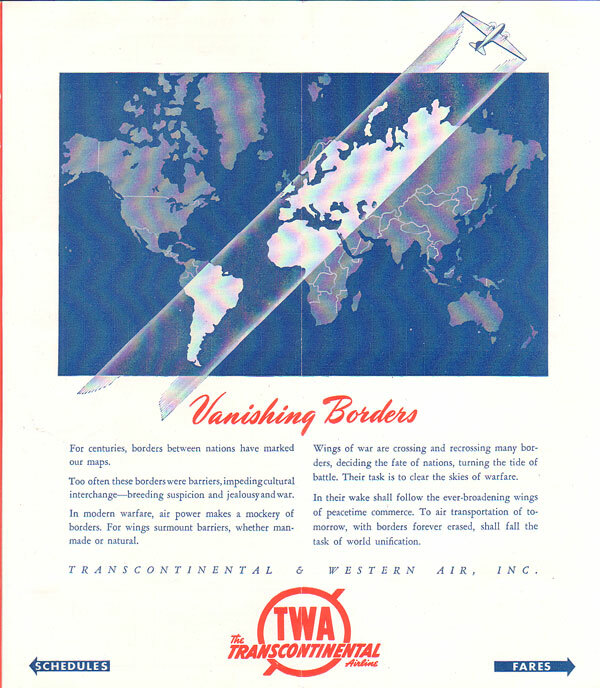 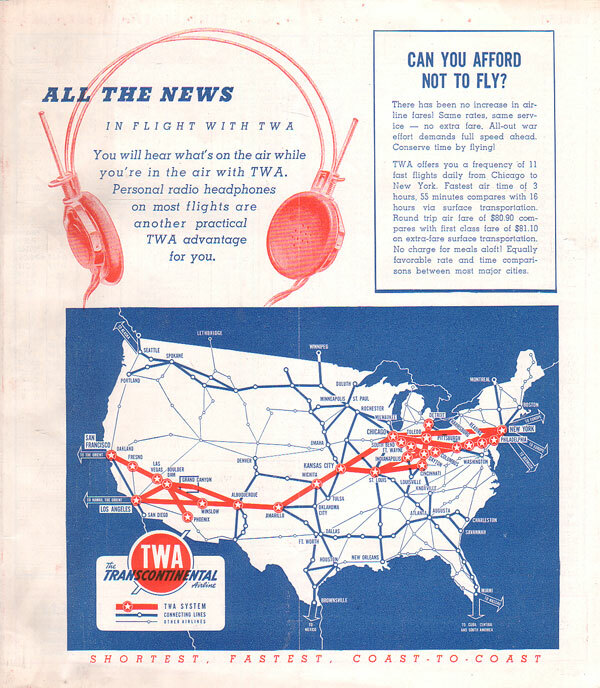 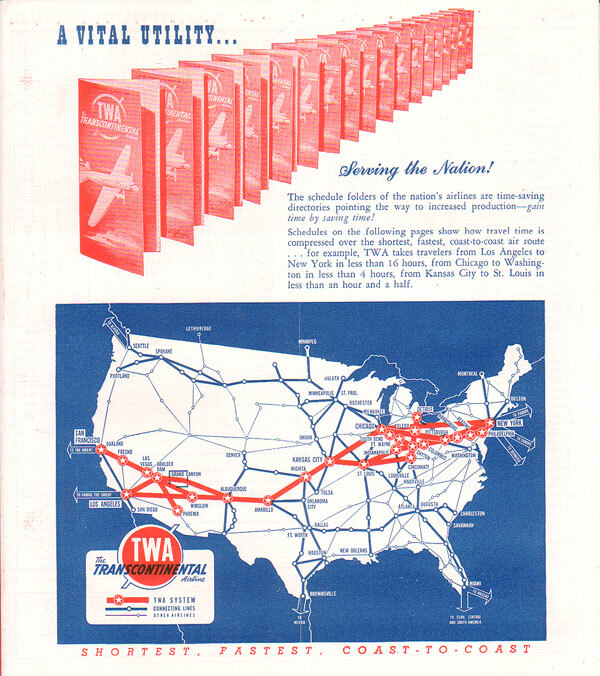 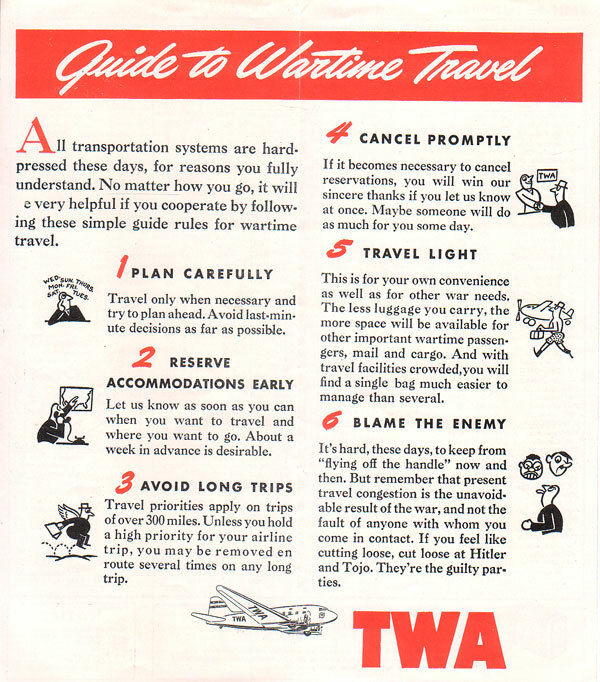 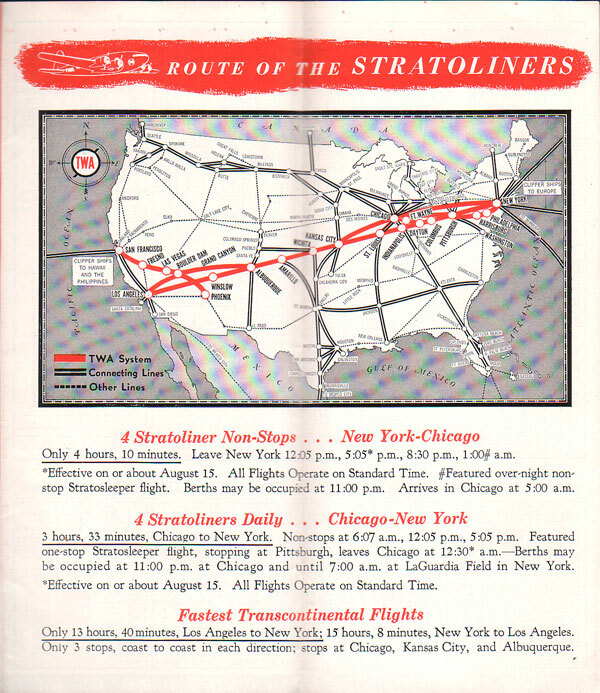 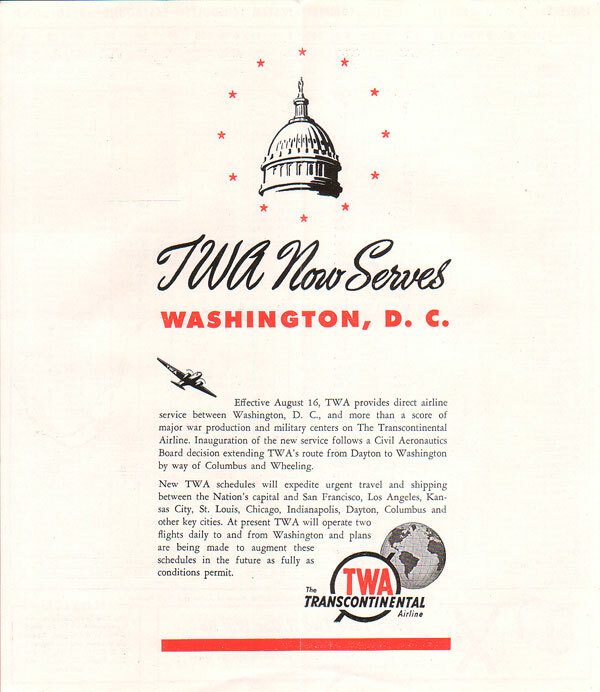 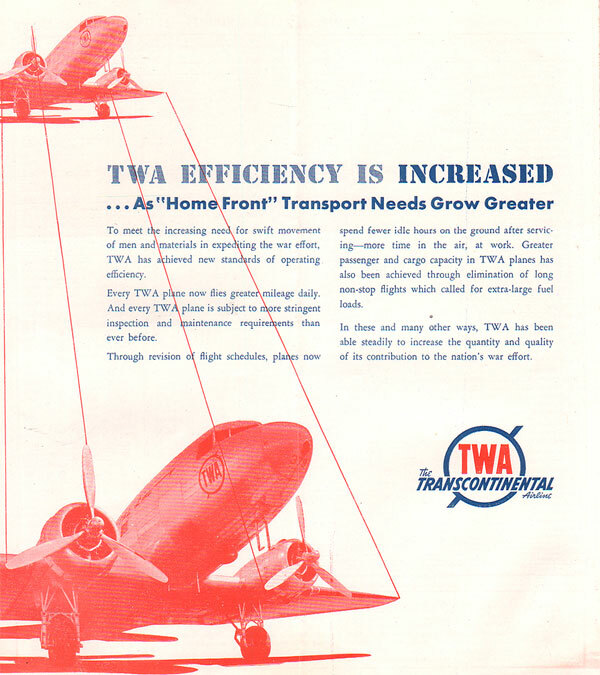 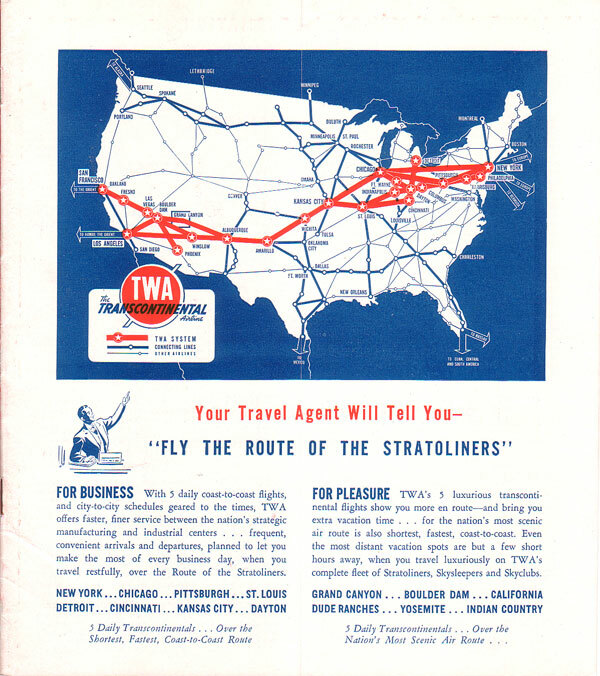 Although TWA timetable covers were very similar during the late 1930s and early 1940s, inside cover advertising often featured maps or a unique focus with varying images. 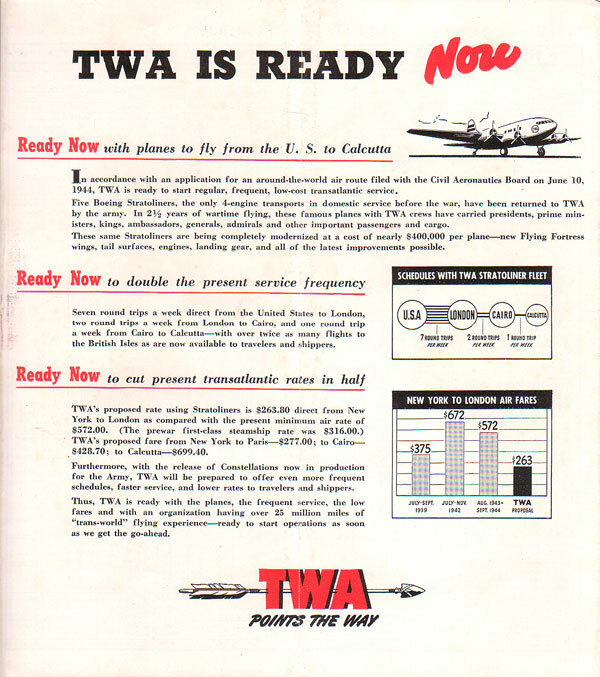 Click on dates linked in red for a close look at inside cover advertising. 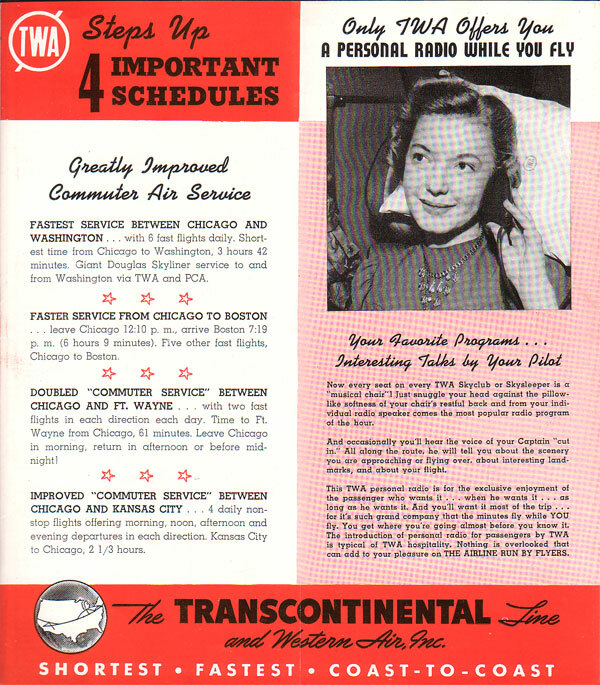 Click on the timetable itself for a better view of just the cover.